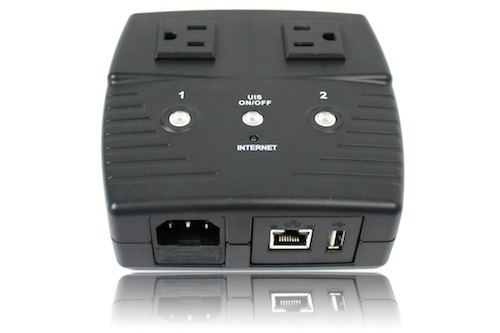 Congrats to John P. of Reedley, California who just won a $25.00 Restaurant.com gift code for writing a review for 3Gstore Remote Power Switch - 2 Outlets - Home Automation and Remote Rebooting (Routers, WebCams, Servers, etc) at 3Gstore.com! Every week we randomly pick one product review from the previous week and award the writer a $25.00 gift code. We appreciate ALL the reviews our customers write, whether they are positive or negative - honest reviews like John P.\'s help other customers decide if the product is right for them. After you purchase a product from 3Gstore.com, we encourage you to log in and 3Gstore.com and leave a review letting people know how the product worked for you - you'll be helping others, and you'll automatically be entered to win a restaurant.com gift code!. I've used with good success a number of these 1- and 2-outlet remote switches over the past few years. This latest version does not appear to have the issue with not resetting properly after several Internet losses over a short period of time (~60 mins) and I'm hoping it is due to current firmware that can be updated to earlier hardware versions. Peplink has just released firmware version 6.3, which adds some new functionality to existing Pepwave and Peplink hardware. The Peplink Balance, MediaFast, MAX, and Surf, are all included in this update. A major feature upgrade is Port-Based VLAN. On the Balance 20, 30, 50, 210, 310, users can specify which VLAN a specific LAN port is tied to. You no longer need a managed switch or have to set a static IP address to reach a VLAN. WIth just the Balance, you can now have DHCP handle this on a per port basis. Time-Based Configurations is another much requested addition with firmware 6.3. Users can enable or disable WAN connections, policy rules, PoE, and more, based on a user-created configuration profile. For a business, you can set an LTE backup connection to be only available during regular business hours, and unavailable after. This can potentially save data charges if a failover was to occur after hours. 305 HW1/ 380 HW1-5/ 580 HW1/710 HW1-2/1350 HW1. For those devices, Firmware 6.3 will be unavailable at the moment. Our team is working on a fix, and new Firmware for these devices will be available in Q2 2016. Click here for more information about the latest Peplink firmware and full release notes, and for more information on Peplink hardware contact the experts at 3Gstore. Congrats to Robert M. of Phoenixville, Pennsylvania who just won a $25.00 Restaurant.com gift code for writing a review for CloudCam HD Mega-Pixel Day/Night Outdoor Wireless IP Camera at 3Gstore.com! Every week we randomly pick one product review from the previous week and award the writer a $25.00 gift code. We appreciate ALL the reviews our customers write, whether they are positive or negative - honest reviews like Robert M.\'s help other customers decide if the product is right for them. After you purchase a product from 3Gstore.com, we encourage you to log in and 3Gstore.com and leave a review letting people know how the product worked for you - you'll be helping others, and you'll automatically be entered to win a restaurant.com gift code!. Otono Networks, a company who specializes in on-demand wireless services, has found a new way to utilize your iPad. They recently developed a new service called AlwaysOnline Wireless. For those who travel internationally and are looking for an easy way to connect to LTE, AlwaysOnline provides data so that you can connect using your Apple SIM card and a cellular capable iPad. Just be aware that your Apple SIM must be unlocked in order for this to work! Certain carriers like AT&T have a tendency to lock their SIMs on their network. While it’s still limited to only 45 countries, you can get 15MB of data for as little as 99 cents per hour. That should be enough to simply check email, but if you’re looking to stream videos or use any other data hungry apps, you can pay by day or megabyte as well. Just activate the service as needed from your iPad and you’re set! Congrats to Derek M. of Simpsonville, Kentucky who just won a $25.00 Restaurant.com gift code for writing a review for Remote Power Switch - 1 Outlet - Home Automation and Remote Reboot (Routers, WebCams, Servers, etc) at 3Gstore.com! Every week we randomly pick one product review from the previous week and award the writer a $25.00 gift code. We appreciate ALL the reviews our customers write, whether they are positive or negative - honest reviews like Derek M.\'s help other customers decide if the product is right for them. After you purchase a product from 3Gstore.com, we encourage you to log in and 3Gstore.com and leave a review letting people know how the product worked for you - you'll be helping others, and you'll automatically be entered to win a restaurant.com gift code!. Great product, saves time and frustrations. 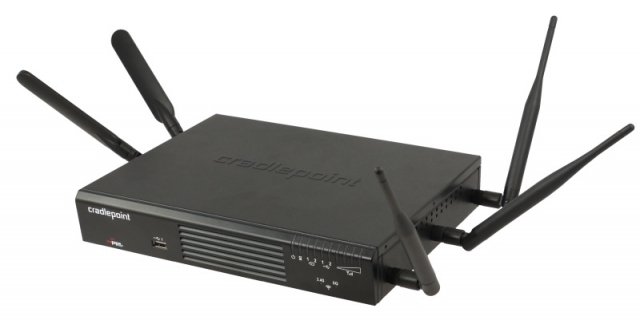 Cradlepoint , a leader in software-defined 4G LTE network solutions for enterprises, announced today that it has acquired Pertino, a privately held Silicon Valley company that pioneered the use of software-defined networking (SDN) to deliver cloud-based networks-as-a-service for enterprise and small-to-medium business (SMB) customers worldwide. The move enables Cradlepoint to leverage Pertino’s cloud platform and deep technical expertise to bring the benefits of SDN (Software Defined Networks) to 4G LTE, broadband and MPLS wide-area networks (WANs) for SMB, enterprise, government and carrier organizations. This acquisition will allow Cradlepoint to quickly address the emerging opportunity for software-defined enterprise network solutions and services. Financial details regarding the acquisition were not announced. Congrats to Susan F. of Chula Vista, California who just won a $25.00 Restaurant.com gift code for writing a review for CradlePoint MBR1200B 3G/4G Mobile Broadband Router w/ WiFi as WAN Firmware 5.4.0 at 3Gstore.com! Every week we randomly pick one product review from the previous week and award the writer a $25.00 gift code. We appreciate ALL the reviews our customers write, whether they are positive or negative - honest reviews like Susan F.\'s help other customers decide if the product is right for them. After you purchase a product from 3Gstore.com, we encourage you to log in and 3Gstore.com and leave a review letting people know how the product worked for you - you'll be helping others, and you'll automatically be entered to win a restaurant.com gift code!. Excellent product, operates just as described. Very pleased with my purchase and the service I received at the 3G Store. I will definitely shop here again. 3Gstore is growing, and recently we moved to a new warehouse just up the street. We’ve tripled our space and turned our new location into the ultimate product showcase. At 3Gstore we like to use the phrase ‘eat your own dog food’, meaning we are a company that uses our own products and services to run our internal operations. We’re going to take a look at all the ways we are putting the items we sell to good use every single day and how we have integrated them into critical parts of our business. The first thing we had to address at our new location was the cellular signal inside the building. With a larger building comes heavier construction, and that meant a lot of brick and metal to interfere with the signal. Outdoors in the parking lot we had good signal across all carriers for voice and data. Indoors however, was another story. Verizon and AT&T were usable but speed tests were slow and reliability wasn’t great. Sprint was even worse where there was LTE in the parking lot, but inside getting even a one bar 3G connection was troublesome. Of course we want our phones to function inside the building, but we also have a backup LTE connection which we’ll go over later, and reliability is critical. The solution? We installed a cellular repeater kit. This consists of an antenna on the roof to grab the signal, cable running inside to our cellular amplifier, and a splitter with multiple interior antennas to rebroadcast the boosted signal to our devices. Because we want to be able to test different amplifiers and situations, we have two antennas on our roof. The first is a high gain directional Yagi antenna aimed at a nearby tower. The second is an omnidirectional antenna that is lower gain, but doesn’t require any aiming. We even have two cellular amplifiers installed, though we only use one at a time, again for testing purposes. The first amplifier is the new Wilson Electronics Pro 70 Plus . This has automatic gain control for simple configuration and a display letting us know the status of each supported frequency. From there we have a splitter with cables going to various locations in the warehouse. There is a dome antenna in the office where we have our backup LTE connection installed, an antenna in our conference room, one in the main hallway to cover the front offices, and a directional panel antenna to push the signal through our warehouse. The second amplifier we have is a SureCall Fusion5. This has manual gain control which we can use to boost only specific frequencies as we test new products and antenna types. Now the cell signal in the entire warehouse is as good or better than the signal we see while outside the building. Once we solved our signal issues, the next step was to ensure we had an always on internet connection. Being an online business, every minute we are offline is serious. Our phones are VoIP and rely on an internet connection, and we can’t contact our customers by email or chat either if our connection was to go down. Our primary internet connection is cable, but having just one provider means we have a single point of failure. As a backup internet connection we have Verizon LTE. Thanks to our cellular repeater we have an excellent, and reliable signal for that to work with. For our network we have not one, but two Peplink Balance 380 routers configured in high availability mode. Our cable comes into each router simultaneously, with one Balance 380 in master mode and the other in standby. If our main router was to have a catastrophic failure, the backup would take over seamlessly with no changes to the network. Aside from a 15 second switchover time, nobody would know there was an issue. If our internet connection or router fail, we have active backups in place ready to instantly take over and keep us online. Our entire network cabinet is connected to a battery backup, so if we were to lose power we would remain connected. That goes for our desktop computers as well, everything is on backup power ready to run in any internet or power outage. If our cable connection was to fail, we automatically switch over to cellular, but we wanted to ensure the cable would come back online on its own as well. Sometimes a cable modem will lock up or disconnect, even though the ISP isn’t having widespread outages. Our cable modem is connected to the 3Gstore IP Switch. 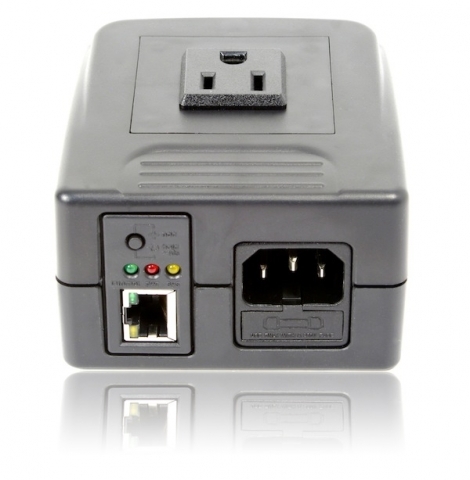 The IP switch monitors our cable modem connectivity and automatically reboots the modem when the connection is lost. After a reboot, if the internet connection remains down, the switch will continue its reboot process at intervals we have set until it is back online. Since our router will failover to LTE automatically when the cable is down, this will get us off our expensive LTE connection and back on our cable connection as fast as possible. If we are running on LTE we want that to be reliable as well. 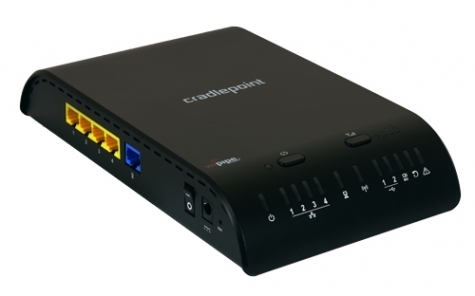 A Cradlepoint ARC CBA850 in IP passthrough mode is connected to our Balance 380 router. The CBA850 has an embedded cellular modem as opposed to using a consumer grade USB modem. USB modems have a tendency to overheat and aren’t designed for long term use. The embedded modem in the Cradlepoint will easily run 24/7 as our standby connection, or as our main connection if our primary was to drop. WIth redundant internet connections, network hardware, and power supplies, we have to make sure that connection can be used throughout the warehouse. First, we wired Cat6 ethernet into every office, some have multiple connections for ease of use, and multiple connections into our warehouse. Each wall plate is numbered, and those numbers match our patch panel in the server so we can quickly diagnose any issues. Wired connectivity is great, but we also need reliable WiFi for the office. A Ruckus Access Point handles all of our WiFi needs and more. With the ability to handle up to 500 clients and 16 SSIDs, a Ruckus AP can suit even the most demanding high density WiFi needs. We run two networks currently, a primary and a guest network. While currently unrestricted, we could enable throttling on the guest network to prevent our primary network from becoming oversaturated with guest traffic, ensuring uptime for the critical network. A single Ruckus AP covers our entire warehouse and office area with no dead spots thanks to BeamFlex. BeamFlex automatically adjusts the WiFi antenna pattern to ensure coverage to connected devices. As we have wrote about previously here, we are using the CloudCam extensively throughout our warehouse as well. In total we have 6 cameras. There is a camera for the parking lot, our entry way, two in our warehouse area, one for our server, and a final outdoor camera watching our loading dock. The parking lot and entry cameras as set to a circular recording to a network attached storage drive (NAS). Through the NAS we have a record of the last 15 days of recordings, accessible at any time. The other cameras are set to motion record after hours to the NAS functioning as security devices. The sever camera is set up with a momentary switch connected to the digital input on the camera. If somebody opens the door to our server cabinet, it records the footage of that entry to so we can track access. Finally, the dock camera is there for our shipping department. They have an eyeball on the dock from anywhere in the warehouse to watch for deliveries and pickups. The outdoor camera is also set to snap a picture on motion, and we are using the NAS to send out audio alerts when a new image is taken. This is an audio cue for the warehouse team to check the loading dock camera. 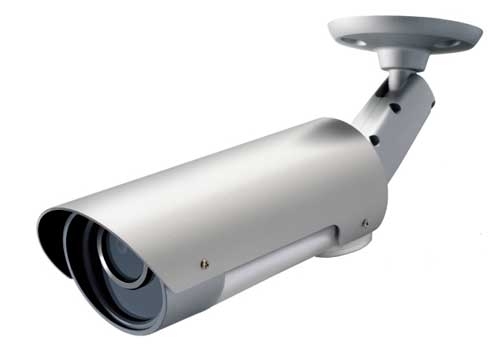 Because these cameras work on any internet connection, we can remotely view the cameras from the Android and iOS applications, even if the warehouse is on its backup LTE connection.